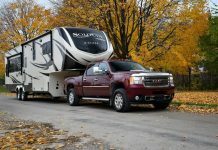 Renowned for lightweight towability with excellent construction and design, the Sportsmen line from KZ-RV offers an excellent value for your RV dollar. 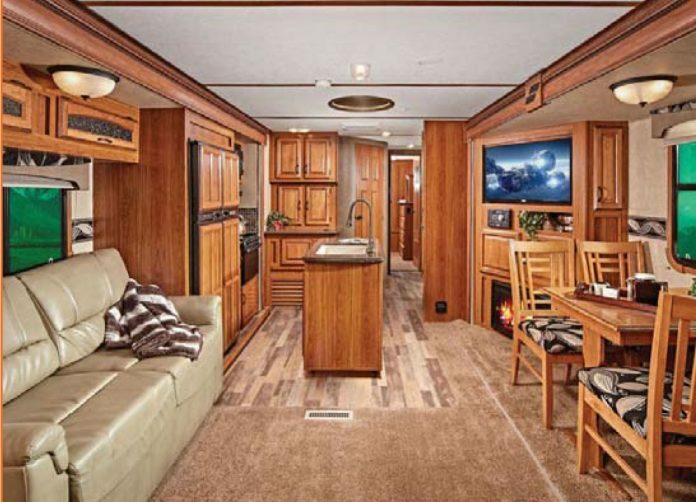 Built with pride by old-world craftsmen at the in Shipshewana Indiana, the Sportsmen S330IK (Island Kitchen) trailer provides a very open interior layout thanks to triple slides and a very comfortable front bedroom configuration. 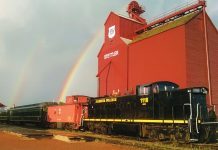 K.Z., Inc., a subsidiary of Thor Industries, Inc., was founded in 1972 on the principles of quality, fairness, courtesy, and integrity. 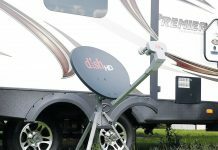 The company was recently honored with its 15th annual RVDA Quality Circle Award for every one of its product categories – an accomplishment unparalleled in the RV industry. The I-Go Pro is EverGreen’s deluxe lightweight towable RV line, designed for the RV buyer looking for an easy-towing trailer with a full range of premium features. 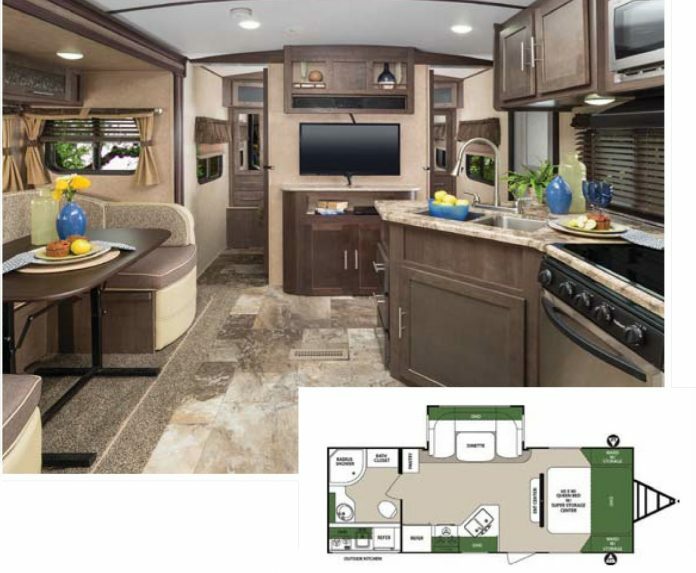 With 5 floor plans to choose from, a 2016 I-Go Pro could be the RV of your dreams. I-Go Pro trailers have a DuraLite double welded aluminum structure including six-sided double-welded aluminum frame construction in the walls, roof, and floors with header framing around all doors, windows and baggage door openings. I-GO Pros feature a molded fiberglass front cap, upgraded kitchen, entertainment systems and all the value-packed standard features and quality construction that EverGreen is famous for – at an affordable price point. 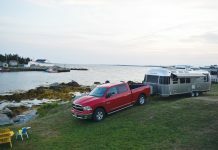 Regarded throughout the RV world as a legendary and timeless travel trailer, the familiar silver shape of the Airstream Classic is truly an icon on North American roads. 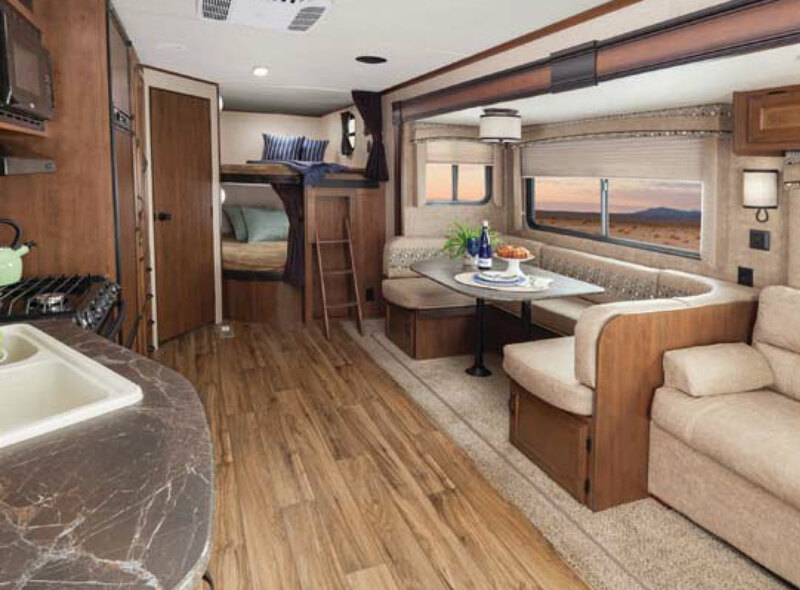 This home-away-from-home is the quintessential Airstream model, with modern technology enhancing a design that has been refined over the decades to be the ultimate travel trailer for serious RV enthusiasts. 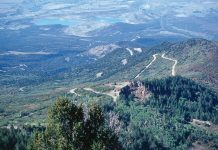 Airstream owners enjoy a wide variety of benefits, including the opportunity to join Airstream club chapters throughout North America (and beyond), and the annual Wally Byam Caravan Tours that travel the world, named after Wallace Merle “Wally” Byam, (1896-1962) who founded the Airstream company. 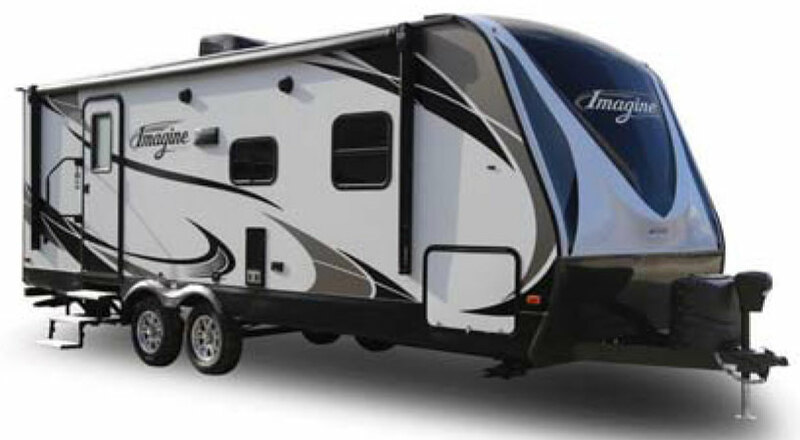 The Imagine travel trailer line has been engineered to deliver lightweight without compromise quality of materials and construction, or features. 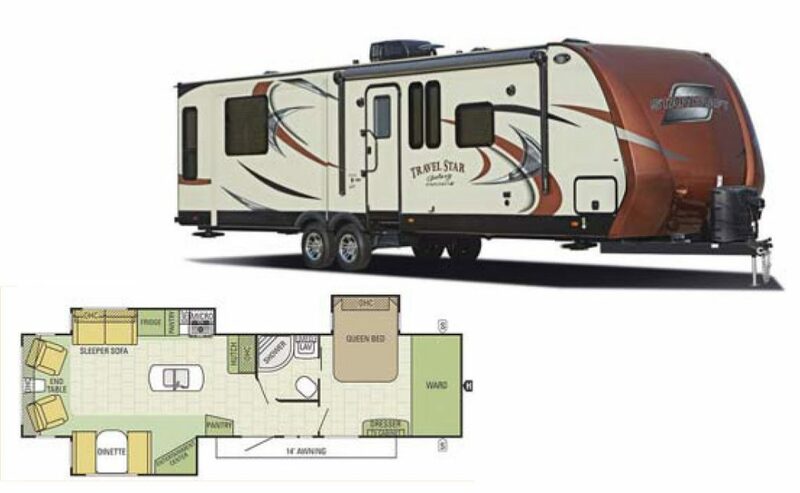 The latest addition to the range of Grand Design RV models, the Imagine lightweight travel trailers offer floorplans starting well under 6,000-pounds, ideal for towing with today’s medium-duty trucks and SUV’s. 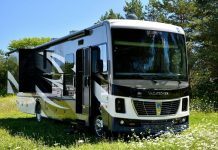 There is a good reason why the Jayflight line is America’s top-selling travel trailer – Jayco has created what has to be the benchmark for family RV’s. The Jay Flight models, like the 28BHBE model shown here, come with an impressive array of standard features, at a very affordable price. You can upgrade your Jay Flight in 2016 to include the Elite Package, which adds many comforts and convenience features. 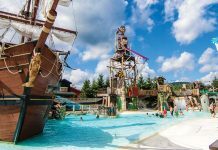 There are many models to choose from, with “kid-friendly” bunkhouse floorplans, super slides for an expandable living area, and exterior kitchens for the ultimate in tailgating adventures. 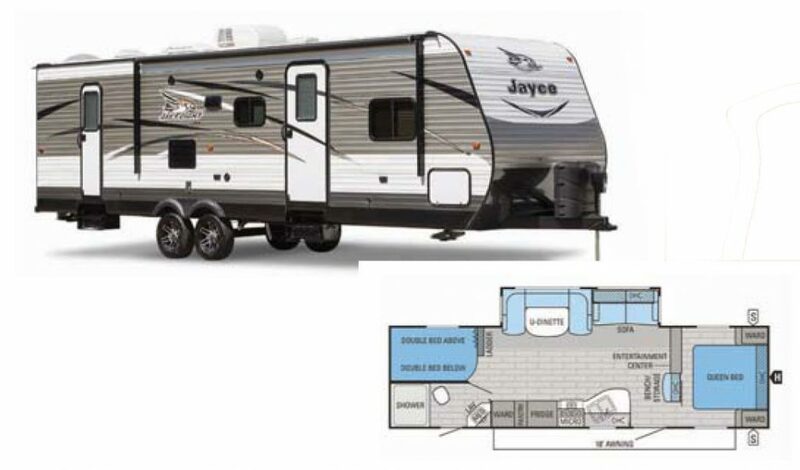 Jayco has always been a leader in RV design and safety, and this is evident in the fact that each Jayco trailer features patent-pending Sway Command Tow Control Technology that applies the trailer brakes before a sway event can get out of control. Grand Design has built a remarkable reputation for interior elegance and innovation. 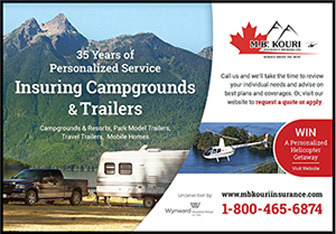 While the company is relatively new to the RV market, the owners bring many decades of experience to the product design, engineering, and construction. 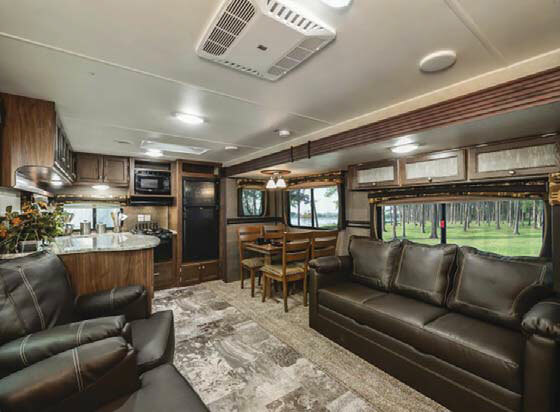 Grand Design refers to the Reflection line of travel trailers as a celebration of luxury, value, and towability, and our road test teams have certainly found this to be the case for the full range of fifth wheels and travel trailers that we have examined. The 2016 Reflection travel trailers are lightweight for their size and spectacular for their interior floorplans and appointments. 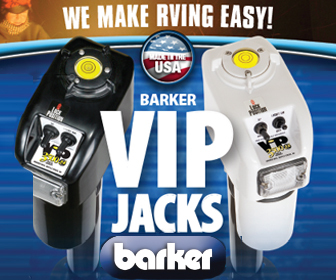 Definitely, a major player when it comes to uncompromised high-end style, convenience, and quality. Since 1941, the Shasta name on a travel trailer has been a symbol of recreational freedom for the outdoor enthusiast family. 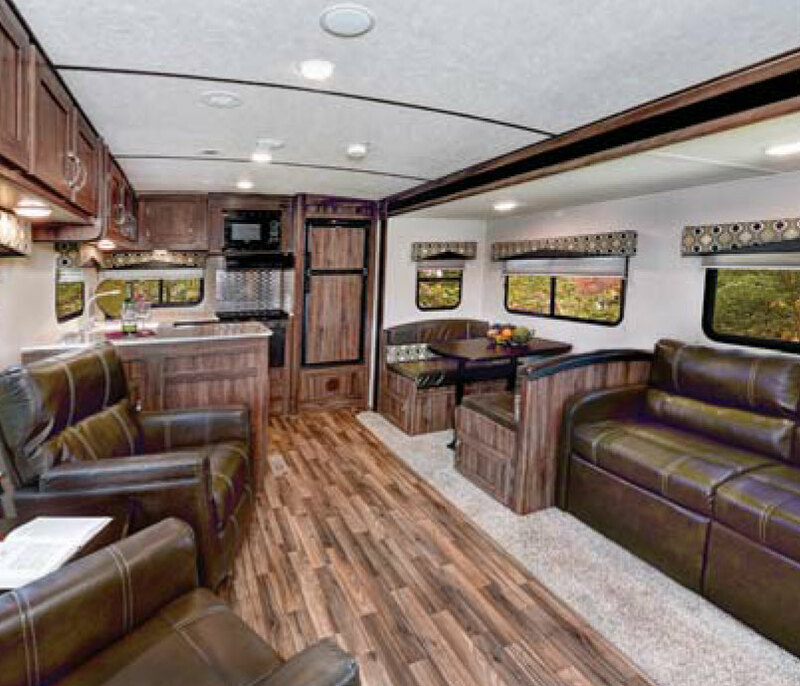 A full range of models for 2016 feature bright and spacious interiors with large windows, high ceilings, and plenty of inside and outside storage space. 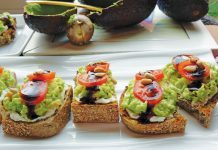 The Shasta Revere line has been designed to provide a residential feel, with quality appliances and materials that rival the comfort and convenience of the average home. 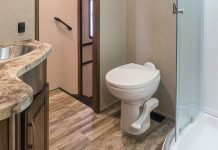 The Revere travel trailers for 2016 feature a new exterior look, wide-track axles, and a range of interior upgrades including under-mounted sinks, recessed stoves, and rounded interior walls. 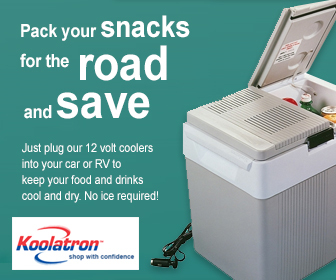 With 7 feet of interior headroom and extra deep slides, the trailers are very roomy and comfortable for a weekend, a month, or the full summer vacation. 8. 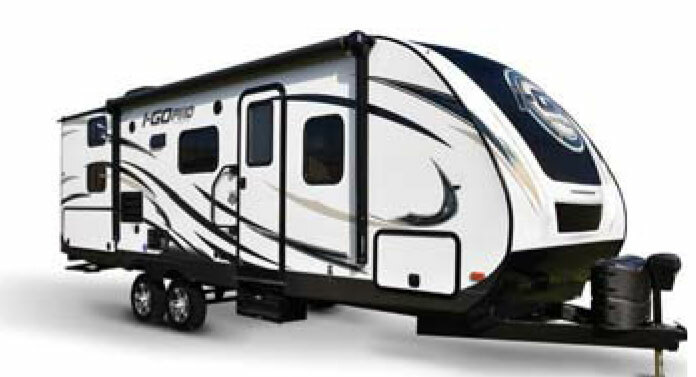 Surveyor 243RBS By Forest River Inc.
Surveyor travel trailers by Forest River are engineered to provide owners with superior craftsmanship and unmatched value. Lightweight floor plans and efficient design assure an easy-towing trailers in models from 28 to 37 feet with triple slides. Surveyor models feature seamless galley countertops, 22” ovens (where applicable) and a recessed glass stove cover to expand your kitchen counter space. Surveyor models deliver a very affordable level of luxury, with residential style appliances and appointments, spacious cabinets and pantries, and entertainment centres that will please the whole family. 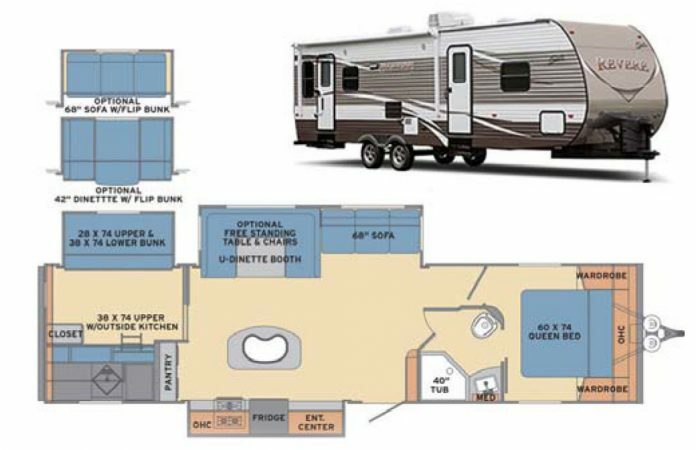 The luxurious Travel Star line from Starcraft RV provides outstanding features for your family’s comfort and convenience. 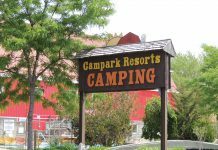 Several sizes and floorplans are available to provide sleeping accommodations for up to ten adults. 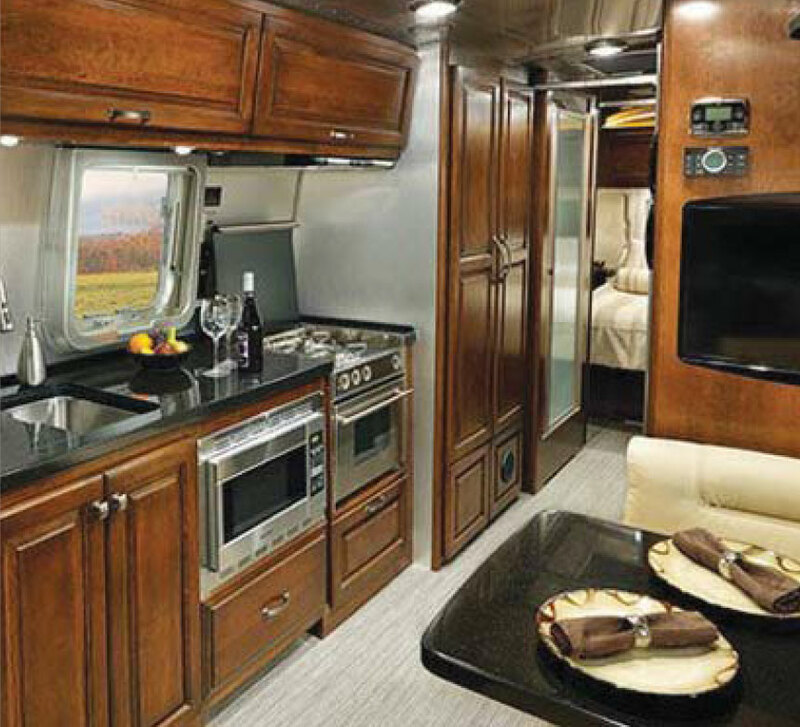 Travel Star models like the 324 RLTS (rear lounge triple slide) shown here include a very fine selection of interior appointments, appliances, and materials – for even more luxury, you can upgrade to the optional Galaxy Black Pearl Edition. Travel Star is built to last. With TuffShell vacuum-bonded lamination, the walls combine welded aluminum framing, fiberglass sidewalls and metal backers for llong-termdurability. 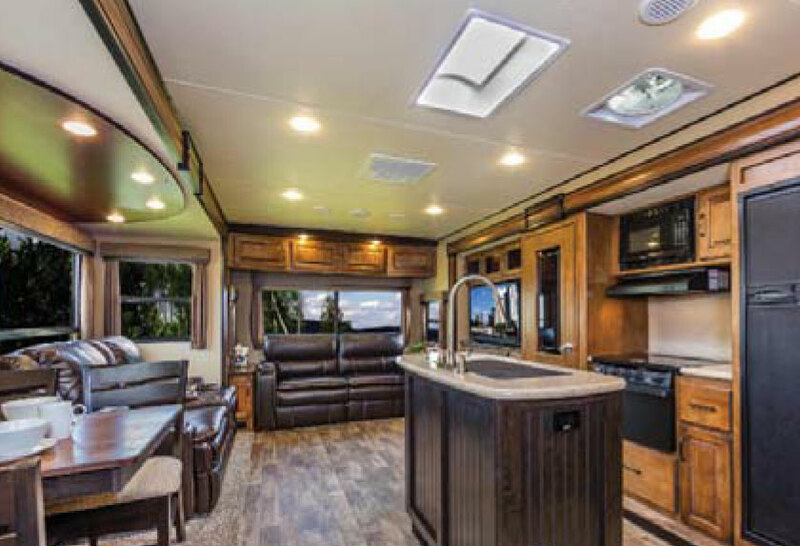 Ask your RV dealer about the optional Climate Package to extend your camping season, by adding an insulated, heated and enclosed underbelly. 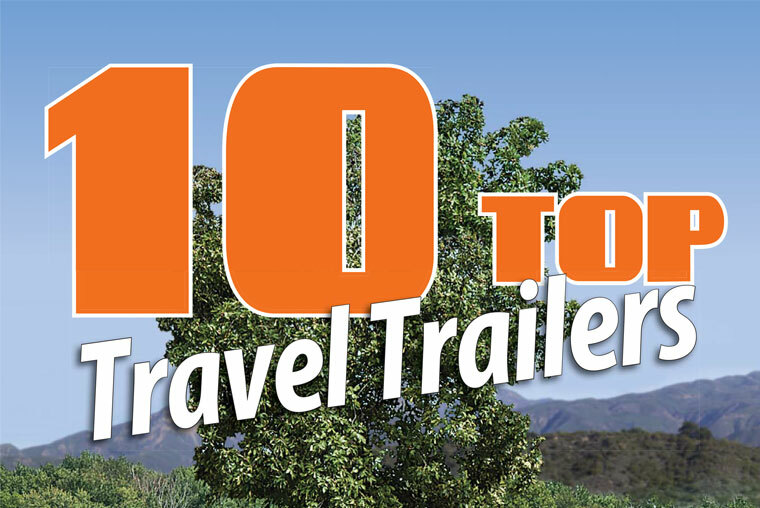 Travel Star trailers are covered by Starcraft’s industry-leading 2-year warranty. 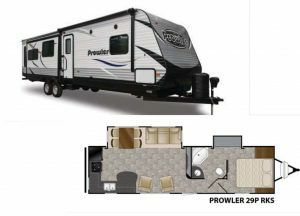 The Prowler 29P RKS (rear kitchen, slide) is one of the Heartland RV “travel class” trailers, designed and engineered for many years of trouble free touring. The 29P RKS shown here is an excellent example of a towable trailer with plenty of room for the whole family. 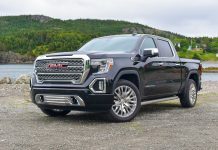 With a dry weight of 6,092 pounds, and a GVWR of 7,600 pounds, this 28’8” trailer is within the towing capacity of many fullsize SUV’s and three-quarter ton pickups. 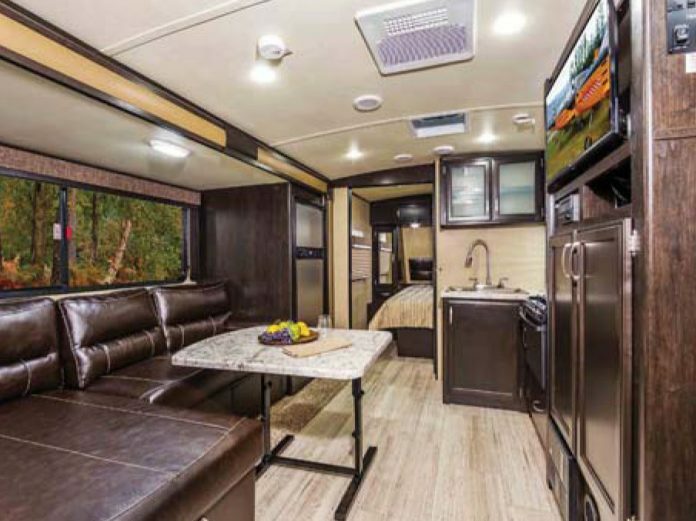 We were particularly impressed with the value that Heartland builds into this very affordable travel trailer, and the excellent use of space in the interior floorplan. 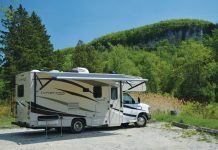 Like most of the Heartland RV products, this model stands at the top of the list of “must see” trailers for any family eager to tour the highways of North America.